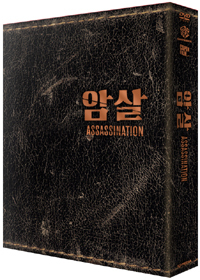 Assassination is a movie set in 1933, when Korea is under Japanese rule. This movie follows the adventures of Yeom Seok-Jin and his group of independent forces. The group of independent forces includes 3 pro-Korea members, who are against the Japanese regime. Yeom and his group of 3 resistance members are ordered to target Kang, a supporter of the Japanese government, and Kawaguchi, a Japanese general. Directed by one of Korea�s most well-known directors, Choi Dong Hoon, this 2015 box office hit was viewed by more than 11 million people. The movie, Assassination, includes reputable actors such as Jun Ji-hyun, Lee Jung-jae, Ha Jung-woo, Oh Dal-su, Cho Jin-woong, and Choi Deok-moon among many others. Jun Ji-hyun plays the role of one of the lead independent forces; Lee Jung-jae plays the role of Yeom Suk-jin, who is ordered to round up the 3 resistance members; Ha Jung-woo plays the role of �Hawaii Pistol,� a skilled contracted killer hired to assassinate the resistance members; Oh Dal-su plays the role of �Hawaii Pistol�s� assistant; and Cho Jin-woong and Choi Deok-moon play the roles of the remaining resistance members, Chu Sang-ok aka �Big Gun� and Hwang Deok-sam, respectively.